Ciali in Kawaiiland are a pretty new company. It's run by Ciali who was once part of the famous and fabulous CuteCanKill. They've now gone on separate adventures. I am glad that they are both still making jewellery. 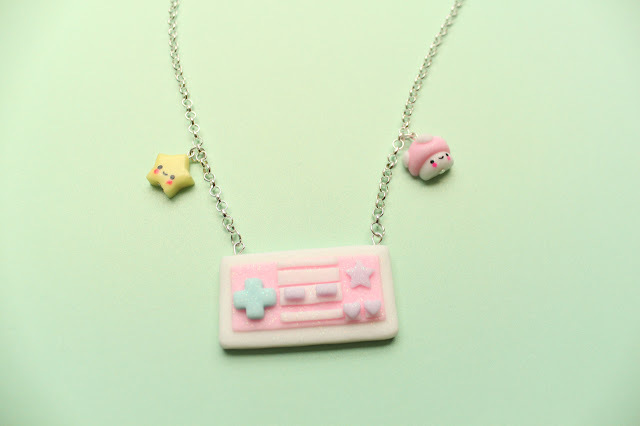 Ciali has been regularly updating her webshop / Facebook with so much unique stuff. She is constantly coming up with cute products and listening to her customers about what they want to see. I received this a few months ago so I don't remember too much about the buying part. It was done over Facebook before she had a shop, I told her what I wanted and she messaged me with details etc. I paid using Paypal and chose registered shipping. If I remember the parcel arrived pretty quickly. The parcel came in a jiffy bag, and came inside a cute polkadot paper bag. Inside was all the pieces I ordered and they all had there own little cello-bags. 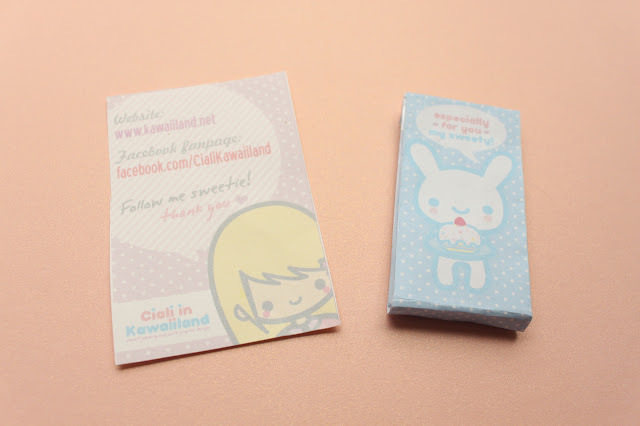 and Ciali in Kawaiiland sheets in each one! 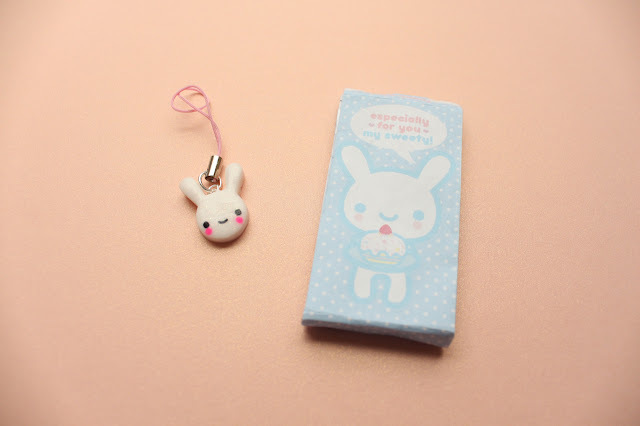 I also received a little note and a bunny phone charm inside a handmade paper pouch! I absolutely love when people make a real effort with there packaging and products. Having bought items from CCK, I knew the quality would be good. 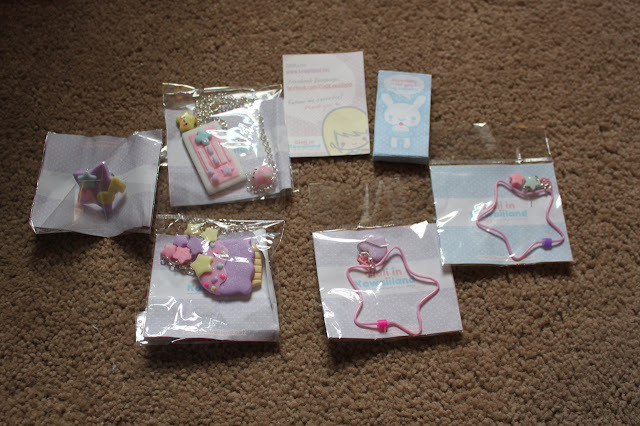 I was happy that when I got my items they we're just as expected, if not better. The workmanship is so professional. 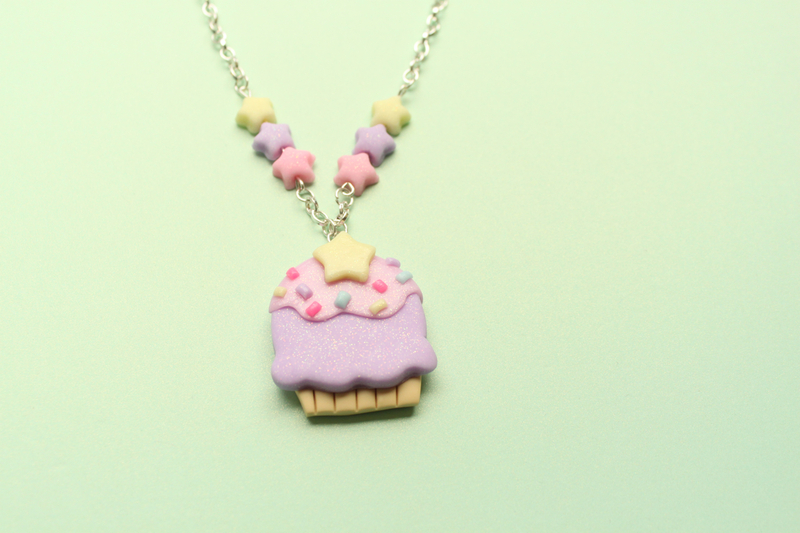 Most of it is made from polymer clay, and I know from experience how hard it is to keep everything dust free. These items are free from fingerprints, dust, hairs or an other imperfections. 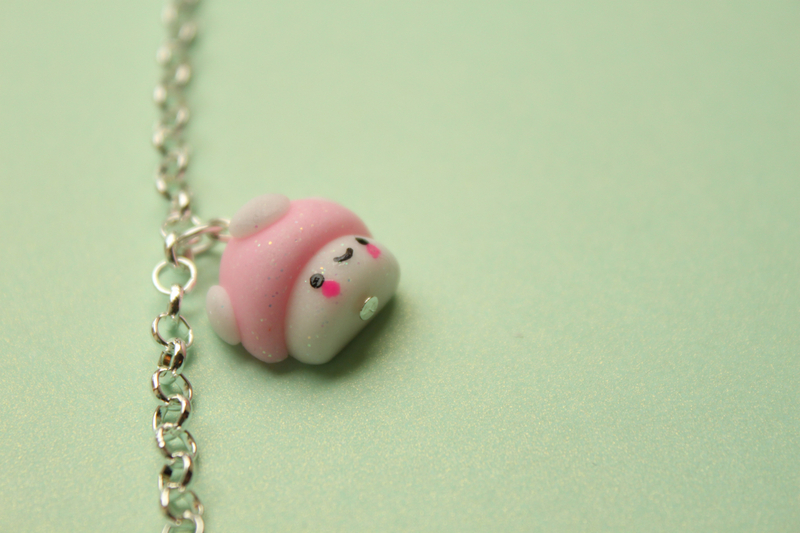 Free bunny phone charm! So cute. 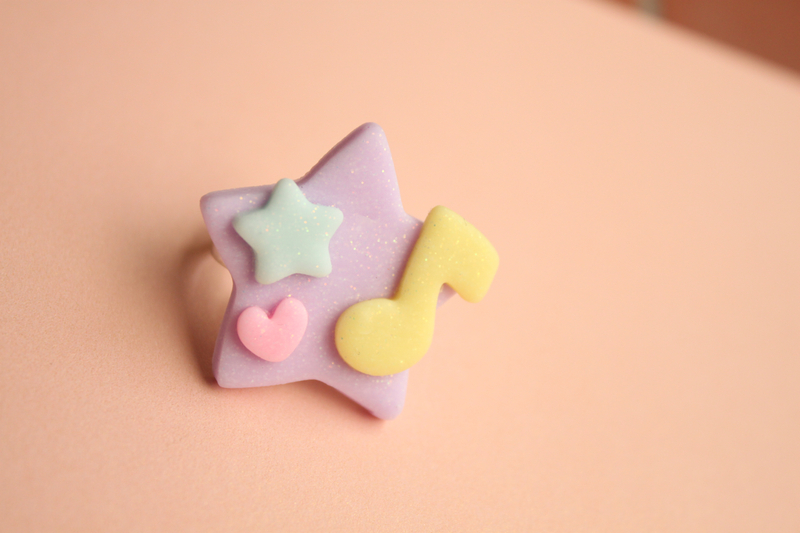 Star Music Ring, I absolutely love this, such beautiful colours. The ring blank was bent when I got it, but I entirely blame the post office for this as everything was wrapped really securely. I did mention it to her and recommend sending them in boxes instead. The only things I will say is that one of the earrings fell apart when I wore it, but this was easily fixed. It was just a loose jump ring. 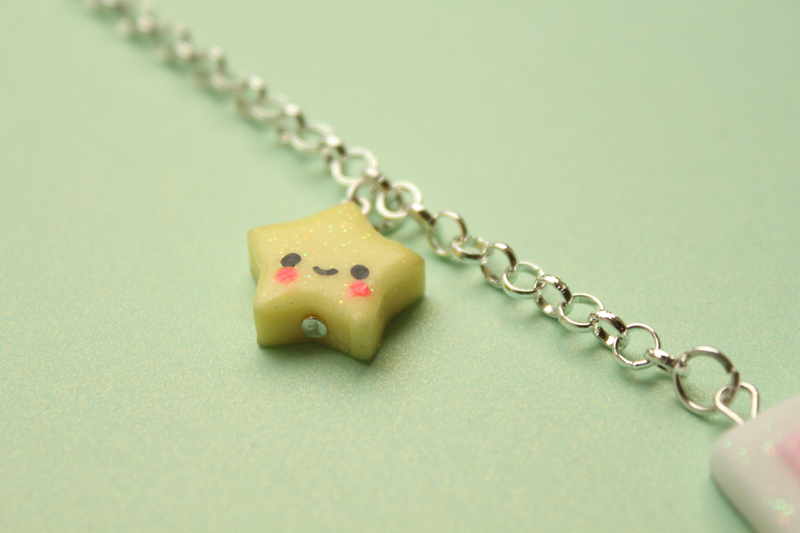 Also be wary of light clay and dark surfaces. 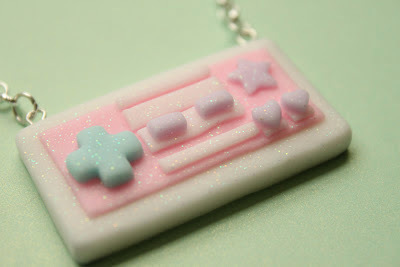 I have experienced some black dye from my clothes rubbing off onto the back of my gamepad necklace. This is no one fault though, it happens! The items are priced really well. I would say they are very good value. It counters in the fact that they're all handmade and unique but without over charging. I like that everything comes in it's own little bag and that she included a free gift. She is such a lovely girl. She is really friendly and helpful, I can't wait to buy more from her!